If you could pour the beauty of Bangkok into a tea cup, what would it taste like? Like the fragrant jasmine of the puang malai flower garlands decorating the shrines around town? Like a wave of rich spices as they are melded together in a mortar and pestle in the local market? Or like the warmth of the sun as it sets over Lumpini and its skyscrapers? Bangkok is a city bursting with flavour and personality, and it’s evident in our wildly impressive culinary scene. And whilst coffeeshop culture is very much a thing, and tea houses are scattered few (yet highly notable) about town, not many people know that there are actually a number of exclusive Bangkok tea blends brewing around town. Going a little bit beyond your morning ChaTraMue cha yen run, these teas are normally locally-sourced and exclusively blended for sipping in the city. They’re inspired by the deep heritage and the vibrant cosmopolitan life of the locals, and can only be found right here in the capital. Beyond your average call for a waan noi roadside iced tea order (though, we’ll admit, that’s always a sweet treat), we’ve sussed out and put together a list of exclusive Bangkok tea blends you probably never knew about. Here’s exactly what you need to be sipping for your next afternoon parttea. Does it get any more Bangkok than this? 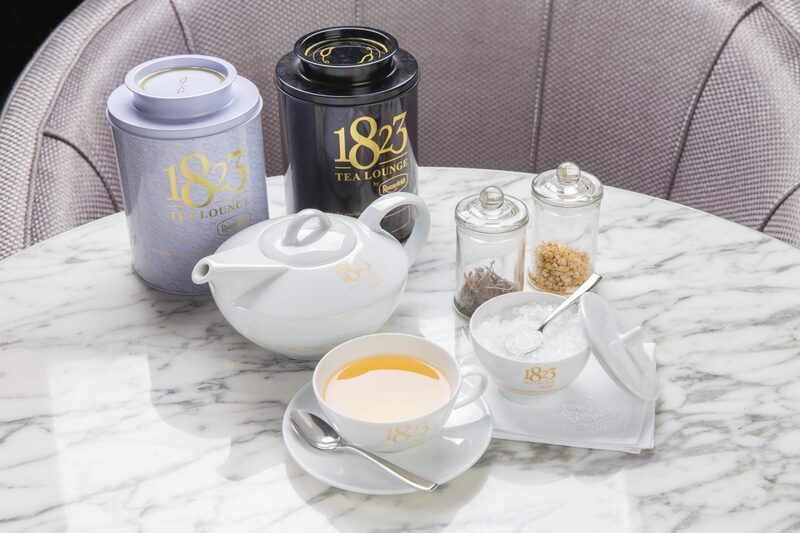 Located within Gaysorn Village, the charming 1823 Tea Lounge by Ronnefeldt is serving not one but two exclusive Bangkok blends that you’ll only find in this city. The elegant and subtle Gaysorn Blend bears ripe mango and citric notes, combining beautifully with the light flowery Pai Mu Tan White Tea from China. The Bangkok Blend, on the other hand, is a tropical blend of fine Oolong Tea with natural pineapple and papaya flavours. Both bearing that extravagant oomph us Bangkokians love and live, it’s definitely one of the most unique and most uniquely Bangkokian hot cups about town. There’s lot’s to love about the Sukhothai Hotel’s signature tea blend. The Saro Royal Lotus Tea bears its name from the Bali-Sanskrit, and once brewed reveals a bright green colour, much reminiscent of the hotel’s green colour scheme. Conveying a remarkably soothing fragrance even before the first sip, it’s a tea that is light enough to enjoy at any point in the day. Made from the petals and stems of the organic lotus, the caffeine-free herbal tea is soft and pleasant, with the aim of easing the body and mind. A tranquil sip best enjoyed within the Sukhothai’s central Bangkok oasis. 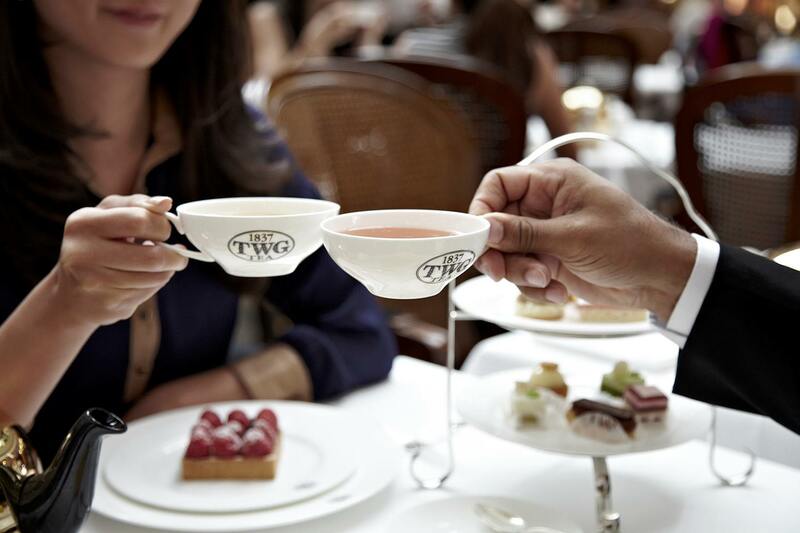 With many exclusive tea blends inspired by different cities around the globe, it comes as near no surprise that renowned Singaporean luxury tea brand TWG has created a signature Bangkok blend. 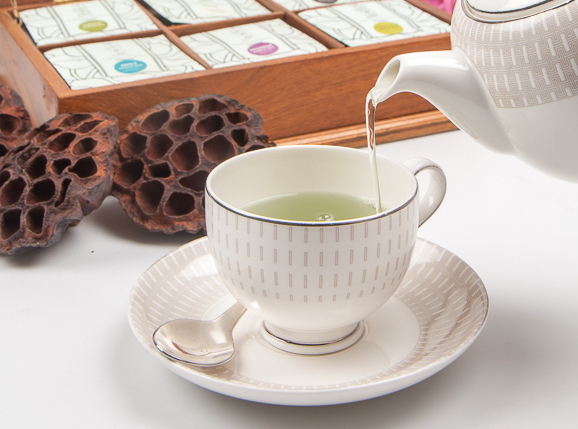 The ‘Secret of Siam Tea’ is made with a combination of blue Oolong and green teas blended with a secret selection of spices, evocative of the Kingdom of Siam. Made with a uniquely Asian blend of leaves from Thailand, Korea, Vietnam, and Laos, the tea offers a slightly spiced and piquant sip, yielding a warm, alluring, and curiously enticing flavour. There is much to rave about the Water Library’s collection of restaurants, yet did you know that they also serve an exclusive range of tea blends? Created in collaboration with award-winning mixologist Mirko Gardelliano and tea master Alexander Schulz, Water Library has concocted eight distinct tea blends for their outlets. We particularly love the herbal caffeine-free and uplifting ‘The Botanist’, made with Chrysanthemum, rose buds, and lemongrass, or the sweet and fruity black ‘Vanilla Garden’, made with organic Ceylon, peach, vanilla, strawberry, safflower, bael fruit, marigold, and blue cornflower. 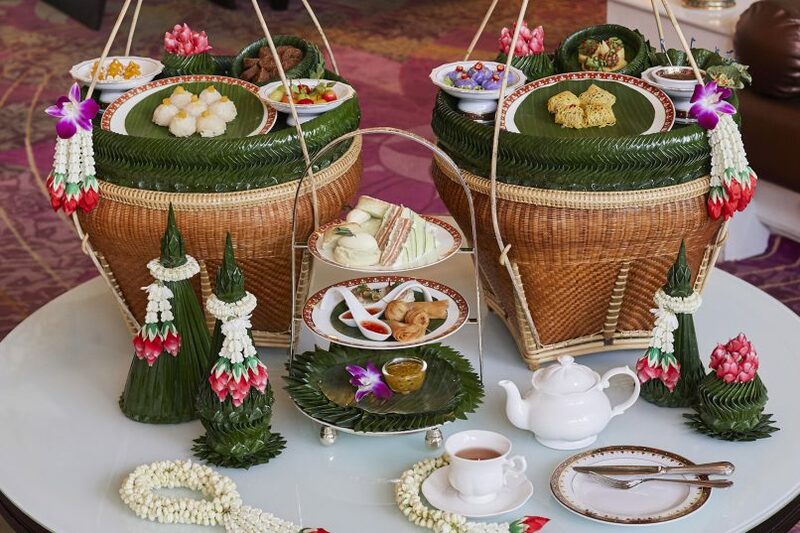 For a tea that is not only uniquely Bangkok, but also served in a uniquely Thai way, Dusit Thani’s Classic Elegance Afternoon Tea is a must-experience. The Royal Lotus Tea from Northern Thailand is made from rare harvests of indigenous sources, and comes presented on a Thai hap wicker basket. In the company of both Thai and Western delicacies, the tea is a reflection of a contemporary sip on tradition, and is noted for its stress-relieving and refreshing health benefits. Light and pure, and as cleansing as watching over the koi pond at the iconic Bangkok hotel itself. There’s nothing quite like afternoon tea in The Drawing Room at The St. Regis. 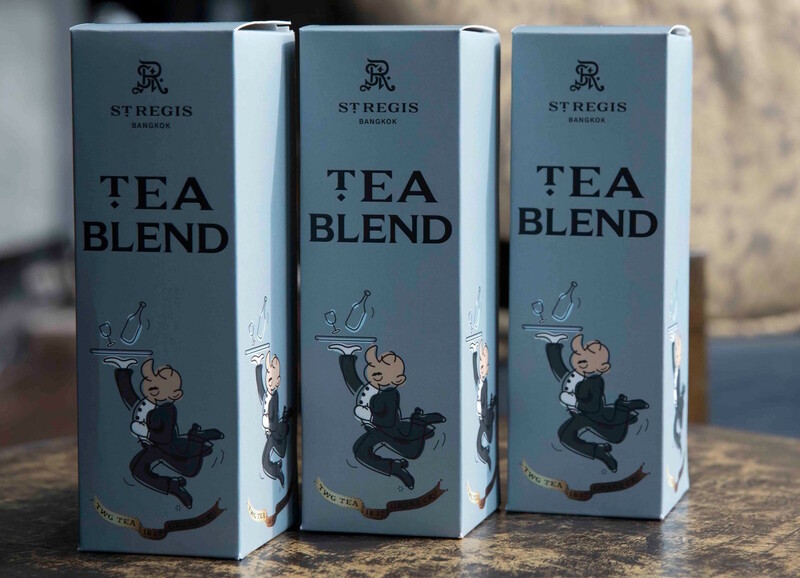 And whilst not strictly a Bangkok blend, the hotel on the city’s prestigious Rajadamri Road also boasts its very own exclusive St. Regis Blend. A sophisticated symphony of both green and black tea, the smooth sip bears malty notes of white chocolate and nuts, with a floral aftertaste of white rose and jasmine blossoms. 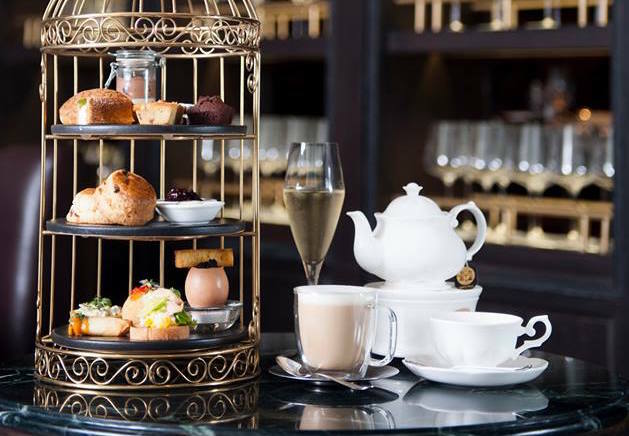 Delicate and yet indulgent, it’s the perfect tea to accompany the views of the Royal Bangkok Sports Club greens just opposite the hotel for a truly uniquely Bangkok city experience.